If you want to work in an environment that is; fast paced, exciting, energetic, rewarding, and you want to join a growing company with a truly international environment that’s a little bit different from anything else you’ve ever experienced, then take a look at the potentially life changing career opportunities NonStop Recruitment can offer you. If you're looking for exceptional training and a rewarding career as a recruitment consultant, then our award-winning Recruitment Training Programme is for you. 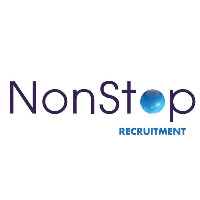 NonStop Recruitment is a very successful, fast-growing European Recruitment Consultancy. Our unique, award-winning Recruitment Training Programme has been at the heart of our success. Since 2000, the Programme has been core to building and cementing our market-leading position, to the extent that our success can be measured purely on the talent of the people we recruit – and the way we develop and support them to become high-performing, high-earning Recruitment Consultants. Our Consultants are trained to deliver an exceptional standard of recruitment services, to some of the major names in the Pharmaceutical, Technical, Medical Devices, IT, Care and Digital recruitment sectors. The result? We’re expanding (in the UK and across Europe) and continue to post impressive performances in all our niche sectors. Most importantly for you, our Training Programme has been consistently refined and enhanced – and is simply unmatched anywhere else, not least as it’s based at our superb facilities in the Czech Republic. If you’re right for us, this Training Programme will be the foundation stone for one of the most demanding but rewarding careers to be found anywhere in commerce. Your career will see you enjoy high earnings – and give you the option to work in any of our UK or mainland Europe offices. Our Training Programme is genuinely unique – and will give you the foundations for success in sales, business and life. Very few programmes of professional development are as practical, comprehensive – and proven to succeed (to the extent that we have been voted International Graduate Recruiter of the Year). The Programme really does train you for success. Based in our specially created European Centre of Excellence, you’ll benefit from inspired, intensive tuition - delivered by professional experts - in modules that include ‘Perception Training’, ‘Building a Market’, ‘Communication’, ‘Effective Learning’, ‘Needs-Based Sales’, ‘Selling Yourself’, ‘Negotiating Rates’, ‘Successful Head-Hunting’, ‘Advertising’ and ‘Recruitment Theory’. It’s a mix of hard and soft skills, gained in class and on-the-job, that can make you a top-billing consultant with the skills to achieve what you want, in business and in life. Because the training is a mix of classroom and on-the-job coaching, you’ll receive constant feedback throughout the Programme, from your own manager as well as our dedicated Training Team. Located in Prague, the Programme represents a once-in-a-lifetime experience: the opportunity to learn and develop, to stretch and challenge your abilities - and to launch your career with us in a superb office environment, working with people of a similar age who share your drive and ambition. You could potentially find yourself, earning a life changing income that could afford you many more adventures as you grow with the business, along with future career opportunities that could see you leading and managing a team or potentially setting up a new division within the organization. With offices across Europe you’ll also have the opportunity to spend time abroad if you desire, without the commitment of moving your life yet at the same time giving you the flexibility to experience different locations/countries. Our Training Programme is proven to develop people without any sales experience - from across Europe - into top-billing consultants. On top of a good basic salary (which gives a very good quality of life in the Czech Republic) we run an extremely strong and achievable commission structure that can see you earning a six-figure salary as you develop your skills. We’re also a fun and sociable team: there are many events and trips that you can look forward to, whether it's a pool-party, paintballing or a weekend away in cities such as Barcelona and Istanbul. Beyond that, we offer excellent benefits such as healthcare, generous holidays and a wide range of leisure and sports memberships that include access to excellent gym, swimming and sauna facilities. We even have our own NonStop Football Team! Ultimately, your level of reward is down to you, what you learn and how you develop – so NonStop really does offer you the platform to reach your goals, whatever your career motivations.